Can I just say I love these two? 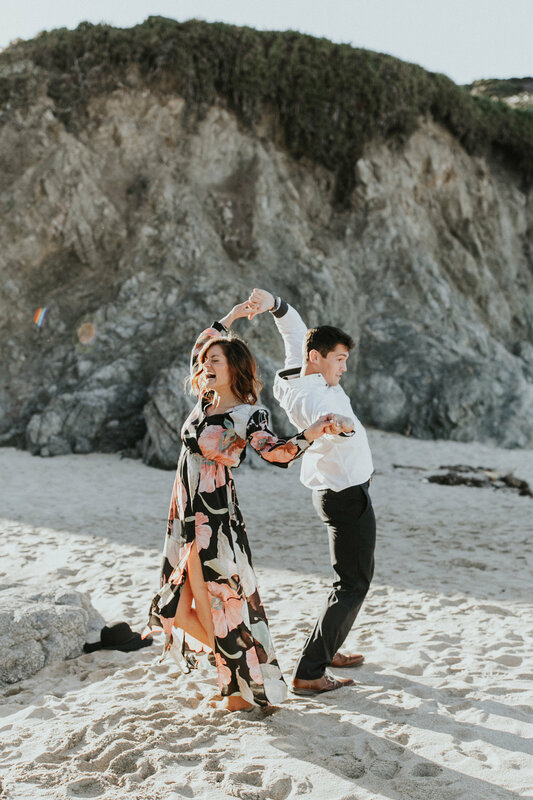 They weren't afraid to show their love the ENTIRE engagement session and drove 6 hours up the California coast to meet me in my all time favorite place on Earth: Big Sur, California. Riley & Nick are two peas in a pod. They compliment each other in every single way, and I could tell SO easily that they were head over heels for each other. I admire their lust for adventure, too! 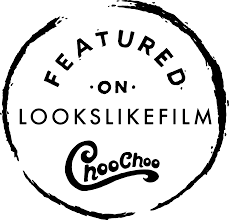 They followed the same path Kyle and I did, and it was so much fun reliving my adventure through them when we got to talk all about their life in California! 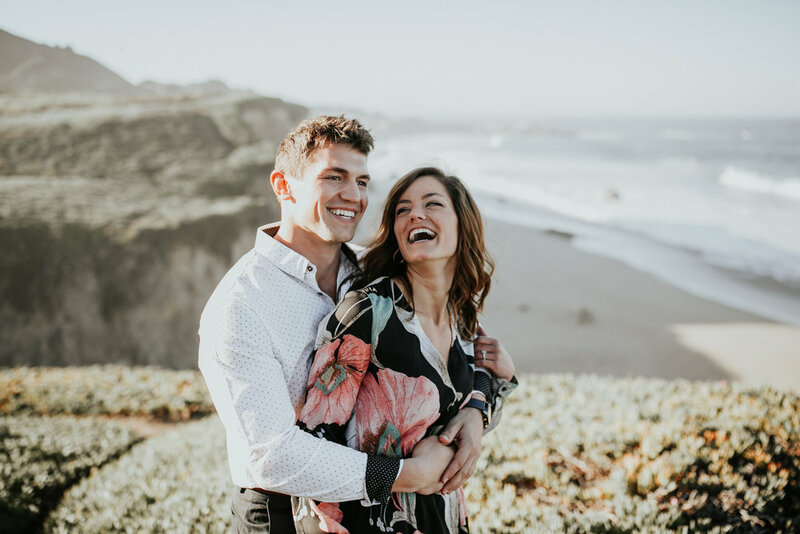 They are both from Iowa, and picked up and moved to California to experience more than just rolling hills and cornfields. They have called Orange County in LA home for a couple years, and wanted to make a trip up the One up to Big Sur. If you have not driven from Southern California to Northern on the One, do me a favor and put it on your bucket list! The winding highway along the coast is like nothing else, with cliffs and the ocean on one side, and redwoods and deep forests on the other. When Kyle and I took that trip when we lived in California on our "Mini-Moon," we woke up early and grabbed some coffee and made stops whenever we wanted to take in the views. 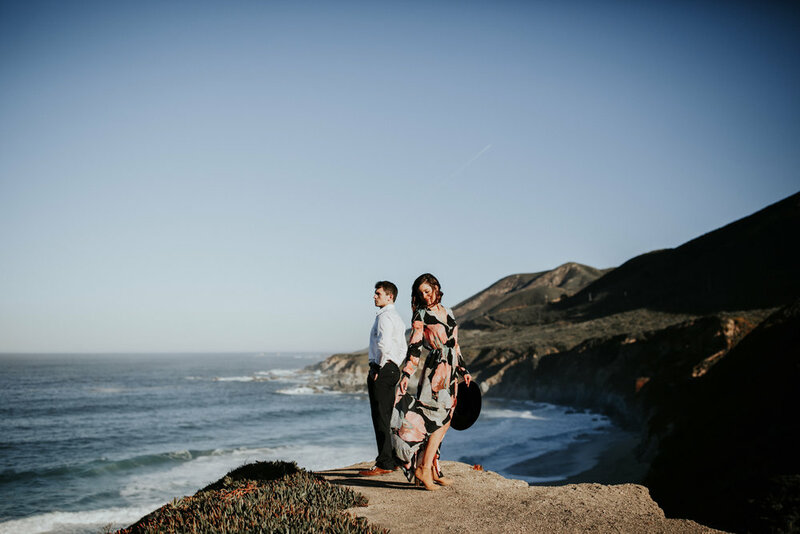 I brought these two to my favorite little beach in Big Sur, and they came prepared for an adventure! 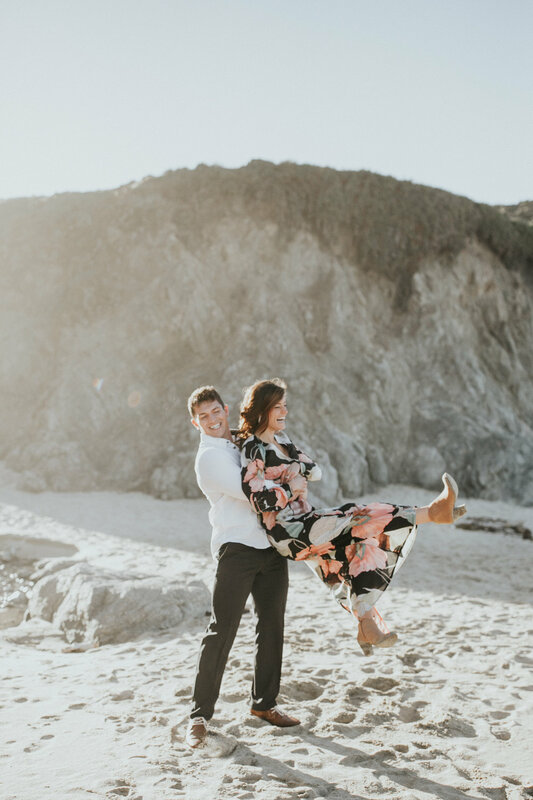 We frolicked on the beach and got our shoes wet, hiked up on a cliff, and looked out over the ocean in the morning glow and I can tell you that this will forever be one of my favorite sessions. This morning light LIT MY SOUL ON FIRE and once you scroll down you'll see why. 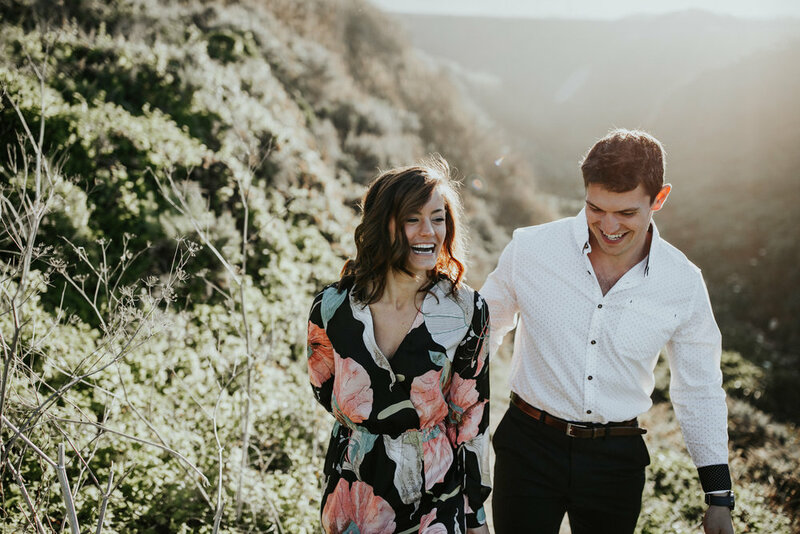 Okay go go go peek at this gorgeous Big Sur adventure engagement session with Riley & Nick!